And Forget the Botox--Give Us a Real Smile! 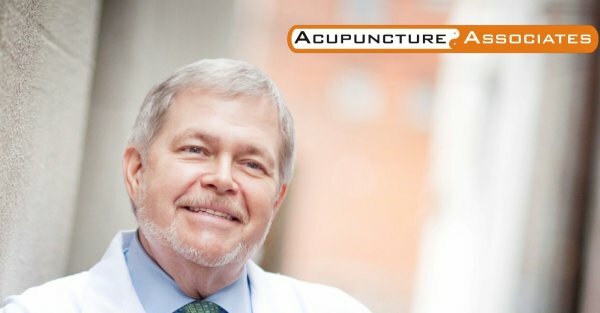 Although our business name is Acupuncture Associates, our website address is happyacupuncture.com. Why? Because it is our mission to bring health and happiness to everyone we meet. As the days get longer and the sun gets stronger, as our gardens bloom and we head outdoors for sports, picnics, and walks on the beach, we may encounter sprains, accidental injuries, allergies and more. This newsletter brings you suggestions to keep you happy and healthy during this pleasant weather. Chinese herbs have been used for centuries. The first traditionally recognized herbalist, Shénnóng, is said to have lived around 2800 BC. Is Spring making you sneeze? Everything is covered in pollen and many of our patients are struggling with allergy symptoms, but want to avoid the common side effects of conventional allergy medications. If you are looking for a natural alternative to those allergy medications that make you feel drowsy, a traditional Chinese herbalist might suggest Japanese catnip or Jing Jie. According to traditional herbalists, allergies are related to lung issues and imbalance in the spleen and kidneys. Traditionally, this imbalance has been described as a result of Internal and External Cold or Hot Wind entering the body, which can cause symptoms like chills, colds, and fever. Used in combination with other herbs, Japanese catnip can help balance the body and reduce allergy symptoms. Despite it’s name, this isn’t the catnip that your feline loves! The herb has a strong, but pleasant aroma, comparable to pine and lavender flowers. It works as a natural antihistamine and improves circulation, which is crucial to balancing the body’s energy or Qi. Because of this calming effect and the herb’s ability to soothe itchiness of the skin, ears, nose, and throat, Japanese catnip is also used for some skin conditions. However, it is not recommended for pregnant and nursing women. If you would like to learn more about Japanese catnip, please make an appointment at our Masonboro Loop Road office. Feng Shui is an 8, 000 year-old Chinese philosophy about the relationship between humans and their environment. Every item in a space and its placement is thought to either enhance or diminish our well-being. Based on the laws of nature, logic and common sense, we have incorporated feng shui principles into our office. 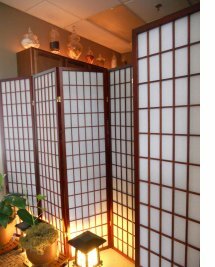 One of the traditional feng shui elements we use in our office are Chinese screens, which you may also know as Shoji screens. These screens can be used as room dividers in any space and are often made of paper, allowing light to pass through while maintaining privacy. In feng shui, screens are used to direct the flow of Qi within a room. Accordingly, placement of these screens impacts the energy of your rooms and proper placement is crucial. Click here to read more about Chinese screens. With the warm spring weather here, you may be ready to pick up your racquet and spend your weekends on the court. 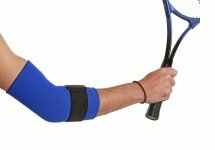 But what if you’ve struggled with tennis elbow in the past? Because of our office location, we often see warm-weather injuries earlier in the year than acupuncturists in colder climates. Tennis elbow is a condition related to inflammation or injury of the muscles around the elbow joint. You don’t have to play tennis to have tennis elbow, either. Golfers often suffer from a similar injury as a result of overextending their elbow joints. Poor alignment and repetitive movement of the joint are the root causes of pain and swelling. Read how acupuncture can help. It happens to many of us in our busy, fast-paced lives. You’re in a hurry one morning, trying to get ready for work, and you trip over that unseen toy your child left in the hallway. Or, you miss that last step on the stairs, taking a tumble that leaves your ankle swollen and tender. Now that we're enjoying Spring and beautiful warm weather, many people resume outdoor running, tennis, or volleyball after months of inactivity, which can lead to painful sprains. Once you’ve ruled out a fracture with X-rays, you may wonder how to best treat your sprain. If you’ve never tried acupuncture, it is a safe, noninvasive method of treatment worth exploring. Find out what we suggest here. I was surprised by her statement, but I had a solution: ‘Just pretend it will make your arm look younger’." ..."smiling should be your favorite exercise." I think laugh lines are beautiful, but not everyone agrees. Botulinum toxin injections (or Botox) has become a mainstream cosmetic treatment for smoothing wrinkles and lines in the face, but its use comes with many potentially dangerous side effects. Instead of injecting Botox or fillers, enduring plastic surgery, or using harsh chemical peels, consider cosmetic acupuncture. It also slows the signs of aging in your face, tunes up your skin, and brings back that youthful glow by increasing the circulation in your skin and bringing collagen and elastin back to where you want it—in your face and neck. Safe and free of side effects, the visual effects of cosmetic acupuncture can last for months or years. Best of all, there is no down time with cosmetic acupuncture. After your treatment, you can go right back to enjoying all of your favorite activities in this beautiful Spring weather. Now that's something to smile about! Now, you can conveniently schedule your initial appointment with Acupuncture Associates online. Just click on the link above! Did you know that you can follow Acupuncture Associates on LinkedIn, Facebook and Twitter? We'd love to keep in touch with you via social media too.